=When the King decides to marry Emily, the pretense must continue for much longer. And what Emily offers Rumpelstiltskin in return for his continued help has the power to change everything. A common misconception about retellings is that they have nothing “new” to say, or that they are not original. I think nothing could be further from the truth. In fact, there is no point in writing a retelling at all if your rendition does not bring anything new to the story. Retold fairy tales, myths, ancient stories, or other classic literature must balance this fine line between the comfort of familiarity and the excitement of something new. With a retelling, the writer draws the reader in over familiar ground — with characters or plot points that may have been with the reader for as long as she or he can remember. And once the reader is there, it’s the writer’s job to make the experience simultaneously strange and new, almost surreal. I love the challenge of finding this balance, and finding the surprises in stories people think they already know. By continuing to write retellings, authors carry on the tradition of the storytellers of the past, who would continuously update old stories to speak to the needs of their particular culture, in their particular time. Our ancient stories should not become dead and unchangeable just because they’ve been written down. Don’t be afraid to revise — all writers need to do it. Rather than letting the idea of revising your work be daunting, allow it to be liberating. If you know you can go back and revise later, you don’t need to worry about being perfect the first time. First, all you have to do is fill empty pages. That’s not nearly as hard as pressuring yourself to write something beautiful, meaningful, or perfect. Later, you can come back and polish what you’ve written until the beauty and meaning begin to shine through. As for perfection, do your best and then throw that expectation out the window. And always, always, always put in the time. Whether you are writing in a journal every day or spending three hours on Saturday to pound out a chapter in your novel, nothing teaches writing better than writing itself. Don’t wait for inspiration — inspiration is unreliable. Routine, on the other hand, is very reliable. Make writing part of your routine, even when you don’t feel like it, and inspiration might just show up to join you. A group of my friends from college often joke about bartering away our “firstborn children” over trivial matters. When my husband–still my boyfriend at the time–found this out, he was quite alarmed. He then asked me a hypothetical question about such a bargain, and his question stuck with me. I wanted to explore it in a story. Although I was going to explore it in a story I’d written “from scratch,” when I started to brainstorm I realized that our culture is already rich with stories and myths in which the bartering of a firstborn child is a major plot point. 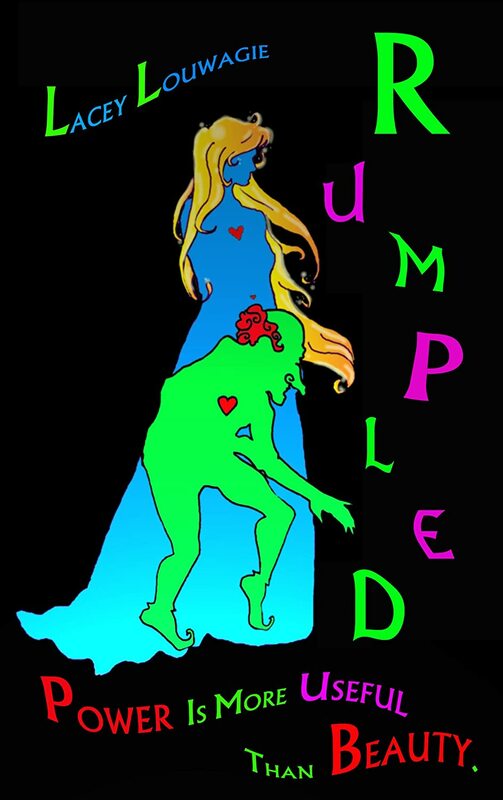 Of all these stories, “Rumpelstiltskin” has always intrigued me. Lacey Louwagie has been writing since she was old enough to hold a pencil and fold a few pieces of paper together. Her first book, full of pictures of unicorns, started her on the path of writing science fiction and fantasy. She has worked as a freelance writer and editor, magazine editor, reporter, and librarian. She lives in a tiny house in South Dakota with her husband, two cats, a dog, and hundreds of books.